U.S. Congress: You’re Fired! 68% of the Country Is Right! How low can a political system sink? Pretty low it would seem. 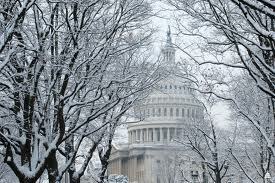 A recent Rasmussen poll suggests that around two-thirds of us would happily fire every single member of Congress, a spectacular lack of confidence in our lawmakers. These are unprecedented levels of disdain and the sad thing is that they’re largely justified. The conventional analysis of this malaise has to do with partisanship in Washington. Too much money, too many special interests, too many lobbyists, too many non-competitive electoral districts leading to a new breed of politicians who pander only to the increasingly extreme demands of their base. The Constitution was never intended to foster such gridlock. Remember that the authors of that Constitution lived in a nation without political parties — in a world where parties of the modern sort were unknown. It was 1796 before the party system had really taken hold and even then, that politics was more fissile, more fluid, than anything we have now. Indeed, you could argue with conviction that the country has never had a more gridlocked, mutually hostile and partisan Congress. At a time of great economic peril, that’s a terrible position to be in. There are wider consequences too, best expressed in the Russian proverb that the fish rots from the head. If our national leadership is incapable of showing transparent, accountable leadership, what hope is there for the other institutions and organizations that together create the nation? One recent example would be shocking if repeated injury hadn’t more or less robbed us of the ability to be shocked. 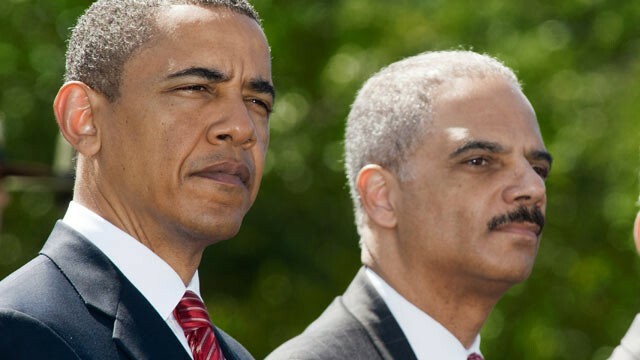 The Fast and Furious scandal matters. For a number of years, the Bureau of Alcohol, Tobacco and Firearms allowed guns to ‘walk.’ The idea was to allow suspect purchasers to acquire guns in the belief that these weapons could be tracked back to high-level figures in the Mexican drug cartels. But these things happen. In a big country, with a complex government, sometimes people do stupid things. That’s not, in itself, the issue. How's about a little love and a lot of Executive Privilege? And an American officer has been shot dead by guns that walked out of the country under the direction of our ATF officials. And Mexican drug cartels have bolstered their armories. And our southern neighbor has descended that little bit further into violence and anarchy. Yet all our politicians can do is call each other names and bicker at each other. So much for the head of the fish. The rest of that fishy body isn’t smelling too good either. Barclays, a British bank that scooped up Lehman’s U.S. operations and has a huge presence on these shores, has admitted manipulating the LIBOR “Fixings.” Those markets are multi-multi-trillion dollar markets and if the banks are rigging them for their benefit, you can bet your house that you’re one of those to have lost money as a consequence. So what happens? Answer: not much. It’s been fined a little fraction over 1% of its market cap. The Chief Executive — who’s already pocketed over £100 million in pay over the past few years — resigns (but will probably get a huge payoff). No one goes to jail. No one ever does, more deflection and more diversion. Or ING, a foreign bank trading out of New York, is fined for fraud, breaking sanctions aimed at Cuba and Iran. The fine was big, but who goes to jail? Nobody. Instead the bank says in a statement that it, “it took a provision of €370 million ($462 million) in the first quarter of the year to cover the penalties, set up a team to prevent and detect money laundering, closed its representative office in Cuba in 2007, and ended relationships with sanctioned entities.” Gee, shucks. Where did I put that 1.6 Billion..? Look under my keyboard. 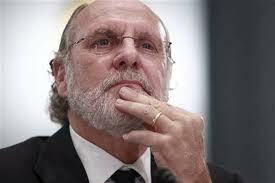 Or MF Global, run by Jon Corzine, formerly of Goldman Sachs and close to the Obama White House. The firm went bust and around $1.6 billion in client money has gone walkabout. If someone takes money that isn’t theirs, that is theft. I’m not talking about the law, necessarily, I’m not a lawyer — but I am talking about ethics. If someone or some group of people conspires to deprive clients of $1.6 billion, that person or group of people should be wearing orange and looking out of windows with bars on them. But what actually happens? Nothing. The solutions are so simple. We need transparency and accountability at the top. We need accountability and transparency all the way down. Forget about creating new laws when we never enforce existing ones. If you mess up, you bear the consequences of your actions. If a federal operation goes wrong, it is investigated swiftly and rigorously, with appropriate outcomes for those involved. If your firm goes bust, nobody bails it out. If you breach the law, you go to jail. If you steal a thousand bucks, you receive a light sentence. If you steal a thousand million bucks, you should get the cell next to Bernie Madoff and the same release date: 14 November 2139. Is that going to happen any time soon? Nope. It won’t. But meantime, two-thirds of us are right. We need to fire this Congress and start again. The pledge of allegiance talks about justice for all. We need to honor that pledge at the moment we are doing the opposite. 2 Responses to: U.S. Congress: You’re Fired! 68% of the Country Is Right! Mitch, agree with most of your article, but your characterization of the Fast and Furious scandal is incorrect. Arizona has incredibly loose gun laws, both with respect to purchasing guns, and what individuals are allowed to do with the guns after purchase. If you read the Forbes expose, it’s plain to see that it was state prosecutors, not the ATF, who declined to bring charges based on ATF-gathered evidence. Simply put, nothing the straw purchasers were doing was illegal under Arizona law. I realize the scandal was merely held up as an example of a broken federal government, but the popular narrative that the ATF “allowed” guns to walk is simply wrong. Rather, you can thank American citizens for electing politicians who tear down gun laws for the scandal. Mitch, they allowed the guns to walk. They were tracking serial numbers, supposedly. Furthermore, this nation NEEDS more states like Arizona. Restricting guns, gun sale, or any possession of guns is stupid and unconstitutional. Instead of spending billions on trying to stop Americans from owning guns, our government should spend the money on training people how to operate and respect guns. I don’t see why 1 man should get away with crime because he’s armed when he could be staring at a bank full of armed patrons. Worse yet, what if we are someday invaded by another nation? How will we defend ourselves if only 1 in 5 people know how to use and actually own a gun?